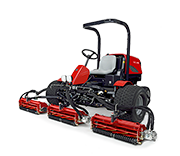 The Baroness LM56GB is a fixed head walk behind greens mower among the lightest in its class, yet solidly build. 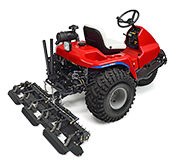 These highly manoeuvrable mowers provide the highest quality finish on all fine turf areas. Completely gear-driven, the LM56 is easier to maintain and more durable than mowers with other drive systems such as belts or chains. 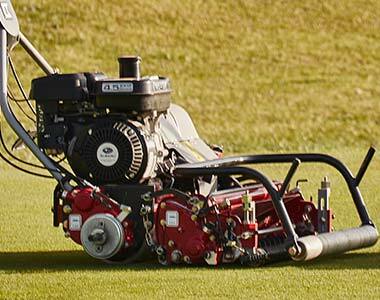 Expertly engineered with a cutting reel that easily follows the contour of greens. High quality Baroness reel and bedknife. All gear drive system transfers power from engine, with highly durable gear design. 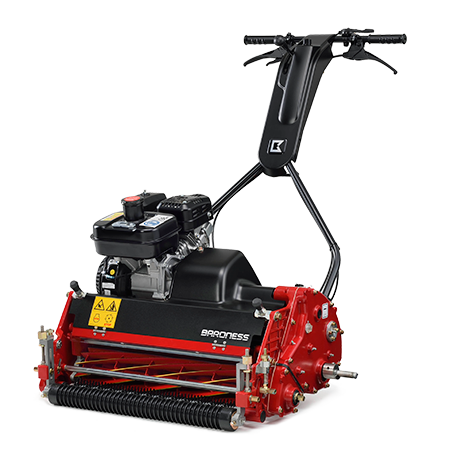 Change between forward and reverse front groomer rotation with one lever, to stand up flat grass, increase turf health by promoting growth and reducing thatch. Use attachments to transform this mower into an outstanding grooming tool.